We develop our bilingual identities in relation to these contexts as a result of impressions we may make, attitudes that we form and behaviours that we carry out. We also alter or modify our attitudes and behaviours when there is a change in context. The identities of our French immersion students are created and evolved in both micro contexts (the classroom) and in macro contexts (the society in which we live). It is important to consider both of these factors when negotiating the unique identities of French immersion students in the Alberta context. Being bilingual does not equal being two monolinguals in one body (Grosjean, 2008). According to Grosjean (2008), much of the research on bilingualism has been conducted through the lens of monolingual studies and therefore heavy monolingual biases have influenced the research on bilingualism. A prevalent consequence of this influence among French immersion students, is that they perceive their language competencies as being inadequate. They strive to achieve the monolingual norms in each of their languages. Grosjean (2008) writes, “It is important to stress how negative – often destructive – the monolingual view of bilingualism has been, and in many areas still is. It is time that we accept the fact that bilinguals are not two monolinguals in one person, but different, perfectly competent speaker-hearers in their own right” (p.13). Bilingualism and linguistic identities are constructed from historical, social, and political discourses. Blommaert (2005, as cited in Roy, 2010) argues that the native speakers of a language are often regarded as the ideal or legitimate members of that ethno-linguistic community and that people are generally thought to belong to only one language or ethnic community. Roy (2010) presents in her research that this monolinguistic view of bilingualism is perpetuated in students, teachers, and parents and is “directly related to a larger discourse regarding for whom it is legitimate to speak a specific variety of French in Canada” (p.544). The French immersion context is unique and students develop unique identities that are unlike their English or French counterparts (Roy, 2008). Students need to be aware that being bilingual is not the same as being a native speaker of two languages. 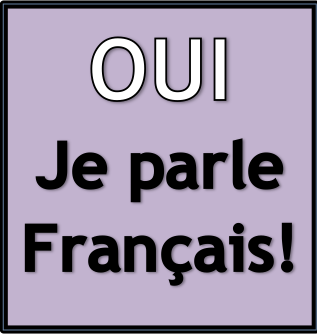 French immersion students are not unilingual and they are not francophones, they are bilinguals. Teaching students the history behind the program and the politics involved may help them to develop a better understanding of their unique identities as French immersion students.